With fewer people per square kilometre than almost any other place on Earth, The Kimberley is one of the world’s last great wilderness areas – and your ultimate destination for a true adventure. 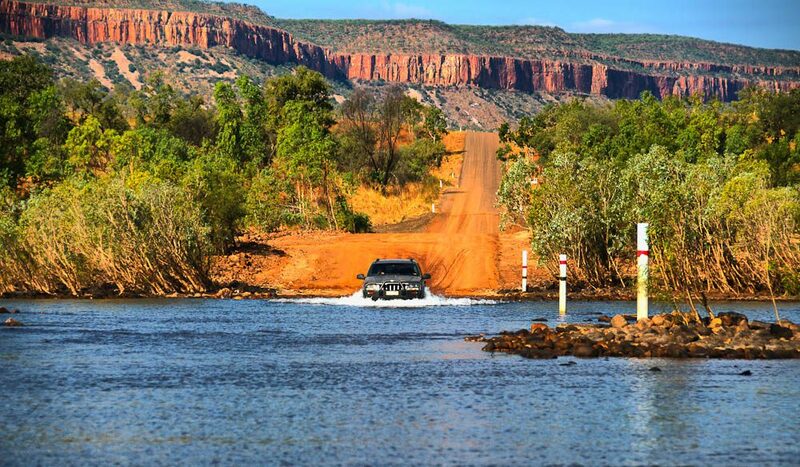 According to you, the best way to take in this incredibly diverse landscape – covering over 423,000 square kilometres – is by 4WD. Amidst the rich colour palette of steep-sided mountain ranges, sandstone gorges, hidden rivers and tropical grasslands, there were particular Kimberley highlights that regularly featured in your responses, especially Gibb River Road for its isolation and untouched beauty, and the spectacular Mitchell Falls. “You can see it independently and feel like you’ve turned into an intrepid explorer overnight,” said one reader; another explained that “there is so much amazing scenery to climb on, look at or swim in – the Kimberley has endless options for adventure”. It seems Cairns (cairnsgreatbarrierreef.org.au) is your go-to destination for extreme sports, while Fraser Island (fraserisland.net) is again a finalist for its natural beauty and family-friendly activities. Kakadu (kakadu.com.au) was also a second-time favourite with its stunning, crowd-free landscapes, while Uluru (uluru.com) was voted for its guided walks, hikes and camel rides around the world-renowned natural wonder.